The Mammoth real estate market has certainly ebbed and flowed in the past few months. There has been no clear market direction on values. Each segment has sales that show an up and down trend. The listing inventory of homes and condos has been running higher than last year. Oddly, condo inventory has risen in November, and that is against the norm. We have experienced the typical pre-winter pre-holiday push to close transactions. As I have reported in the past, this sometimes leads to less-than-the-best buyer decisions. But so be it. I try to steer my buyers away from that scenario. But sellers with compromised properties can take advantage of it. Buyer interest remains high but many buyers are wisely moving to a more discriminate position. There is plenty of uncertainty in the macro and micro environments. And clearly some are waiting to see if it snows here in Mammoth. Another winter of drought could certainly impact the market. It will definitely impact many local businesses. And if it snows good there could be a rush to purchase properties. If it doesn’t snow there could be a new round of sellers, especially from those looking for (needing) nightly rental income to offset expenses. The hottest segments of the local market are the bottom of the condo market and the high-end of the condo and home market. Quality condo inventory with two or more sleeping areas is almost nonexistent in the under $200,000 price point. The availability of these units has dried up in the past eight months. This has been the bread-and-butter segment of the condo market the past few years and during the pre-boom era. The classic 1970’s built condos were affordable, offered great utility for larger groups and families, and also had excellent nightly rental potential. There are hundreds of these units around town in a great variety of locations and well run projects. In the past decade many have fallen into the “crashpad” classification; they are affordable to their owners, there is no need to rent nightly for revenue, and they get used and enjoyed frequently (think ski pass holders). The buyer pool looking for these units is frustrated. But interestingly, the inventory of condos in the $300,000 to $400,000 is far less active and there are attractive properties in more upscale projects including Snowcreek and newer projects. And the HOA fees are quite similar. This is where the best buys are. The high-end market, $800,000 to $1,500,000 in both condos and homes is very strong. But buyers here need to be careful—not all properties in this price range are created equal. There is actually more sales volume in the residential part of this market simply because there has been more available inventory. The new homes developed by long-time Mammoth contractor John Hooper have been hot sellers. Hooper has completed zoning changes on two major parcels along the Sierra Star golf course. The first was originally slated to be the second phase of Solstice condominiums. There are now seven new homes completed or nearing completion there. This subdivision is now called Greystone. The home have sold for $1M to $1.4M. He is now preparing another golf course fronting parcel for subdivision, 22 lots with new homes known as Gray Bear. Hooper has also recently completed a handful of “spec” homes on random lots throughout town. But his focus is now on Gray Bear and a new townhome project right at Canyon Lodge. Re-sale homes have sold well too, especially modern homes with upgrades and/or great locations. Buyers in this price range appreciate “turn-key” properties. One market segment that I have been calling out in my newsletters is the high-end single family homes in Starwood. This is the original “luxury” neighborhood developed in the Sierra Star golf course. Many of the homes were “spec” homes built by Rossassen during the boom era. These are lovely homes, well built with high levels of craftsmanship. Most show little wear or have been meticulously maintained. Recently, there have been seven or eight Starwood homes on the market and they are competing with each other. Asking prices are coming under $1.6 M and likely can be negotiated below that. An excellent opportunity for some….The high-end condo sales have been in Snowcreek, Stonegate, Juniper Crest and The Timbers. Even some of the Village large 3-bedroom / 3-bath condo hotel units have sold in the ~$1M range. A recent article on CNBC highlighted that there is a national wide trend of high-end property sales. But one of the points made in the article is that for every buyer there is also a seller. Hmmmm…. But for this broker I wonder what the REAL driving dynamic is? Will these properties become like many affluent second homes and see little usage, or are they simply hedging the possibility of significant inflation and “parking” the money, or are they planning to make Mammoth part of their retirement strategy, or do they see Mammoth as a “safe” place to be if “something” goes wrong (call them metro-preppers)? Time will tell. While flippers and investors have been a significant market dynamic in many California markets in the past few years, Mammoth has seen very little of that activity. A few true flippers have experienced limited success. By the time they carry the property for ~year and make the improvements and get the property to a closed transaction, the risk and reward have proven to be dubious…. Recent condo hotel sales have also been interesting. The units in the Village under Mammoth Hospitality (Mammoth Mountain) and in the Westin Monache are producing solid rental revenue. Maybe as much as they logically can. The 1-bedroom units provide the greatest return. Investors are buying these units to capture that return. But investors are also selling out of the same units and looking to take their equity somewhere else. Also, some of the problems with condo sales in the past few years are starting to resolve themselves. Condo hotel financing is becoming more mainstream with both private lenders and with Wells Fargo even jumping in. The down payment requirements and buyer’s cash reserves are on the high side but some buyers are taking advantage of it. 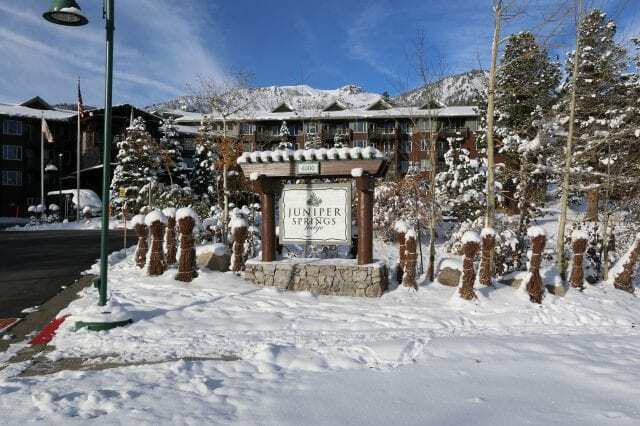 The seemingly endless litigations at some of the Intrawest condo projects (namely Eagle Run and Mammoth Green) are being settled and units can now be purchased with conventional financing. We recently closed a financed transaction at the The Summit despite that litigation remaining unresolved. The “front desk” hotel-type operations at some condo projects DO remain an obstacle for conventional financing. Some projects that previously had Fannie Mae approval are now red listed, and others have successfully achieved approval. It remains a “hit-and-miss” issue with even the most seasoned Mammoth lenders. Mammoth’s new fireplace ordinance is slowly becoming more workable. So far, it has not negatively impacted the values or marketability of properties needing retrofitting. Most are in need of and will experience significant remodeling anyway. Some owners who are planning to sell are just “biting the bullet” and coming into compliance (and as cheaply as possible).The Town has given new owners significant grace period to accomplish the retrofitting as long as they open a building permit. More and more pellet stoves are being installed. The Town and County have had grant monies available to make significant credits to owners retrofitting to pellet stoves. All in the name of saving the environment. And nightly rental companies are increasingly in favor of rental units having pellet stoves. That is a major industry shift. The agencies are educating the renters about their operation (basically don’t touch––just use the thermostat), and their maids and maintenance staff are more familiar with the equipment and operations. The bonus is that the renters walk into a nice warm property upon arrival and there is the fire “visual” to greet them. The owners benefit by lower electric bills. And pellet fuel is becoming increasingly available. I even saw some at COSTCO. Meanwhile, the flow of foreclosures and REOs has dwindled. This office currently has six REOs in one stage of pre-marketing, listing or escrow. That is down from and average of 30+ plus during the past six years. But the methodology of disposing of the existing REO properties has changed too. Many are being outsourced to auction sites and asset managers are everywhere including India. Buyers on the auction sites are sometimes having to pay 3-5% “buyer’s premiums” on top of the sale price, etc. Many selling agents simply don’t like or trust the online auction process. Buyers are not typically allowed the customary contingencies of physical inspection, HOA document review, etc. and that does not sit well. And in the past months there certainly aren’t any “deals” to be made. In fact, the recent buyers may have done poorly––overpaying for grossly substandard properties. We are also seeing some of the longstanding properties that have been in “limbo” for many years finally being foreclosed upon. Many of these were involved with clouded title issues originating from MERS (the mortgage electronic registration system) that “sliced-and-diced” the mortgages into securities. It has taken years to resolve this mess. Statistical data for future foreclosures is mixed. California remains very protective of distressed homeowners. Clearly there will be a future drip of new REOs (and short sales) but no significant wave or volume as seen since 2008. Mammoth Mountain’s recent acquisition of the two Big Bear resorts was recently described by Rusty Gregory as a “defensive” play (what should we expect from an ex-linebacker)….the “line” is they simply didn’t want Vail or Aspen getting those customer names in their databases. So while Vail buys Park City and will link it to The Canyons creating a massive and awesome new ski area, Mammoth is spending $38M for a list of “weak” skiers and snowboarders. At least we now know that Mammoth’s corporate strategy is more defensive than moving in an offensive “destination” mode. I guess drought winters and a narrow customer base will foster that. One does have to wonder how many Mammoth Value Pass holders will now start looking at the option of an Epic Pass (Vail) instead. Having the option to ski in Tahoe, Park City/Canyons, Vail and various other resorts in Colorado all on one pass is very tempting. And now that everyone knows the MVP isn’t an exclusive one-time offering, at least giving it a try for a season or two has certainly become an option for many. If the MVP numbers fall off, it will be interesting to see what Mammoth does from a defensive position. Meanwhile, the Ski Area is following the industry lead and moving towards “airline pricing” for lift tickets. The price today isn’t what it will be at some future date or when standing at the ticket window the day of. Obviously they want to incentivize people to come in the off-season with lower prices. People without passes will find the ways to get “deals.” Another effort to smooth out the peaks and valleys of resort operation. Mammoth’s winter business is caught in doldrums of drought and summer business is booming. The shoulder seasons are becoming increasingly popular for “geotourism” which is the new word for visitors who come just to chill out and experience nature, peace and quiet, and low level physical activities. Tourism and visitation was up this past Fall as geotoursim is taking hold. And just think, we didn’t have to build lifts, make snow, have music events and alcohol tastings, etc. to attract these visitors! Somehow I don’t see any downside. Welcome to the future!